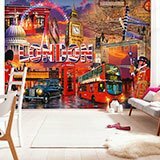 Wall mural Collage British. 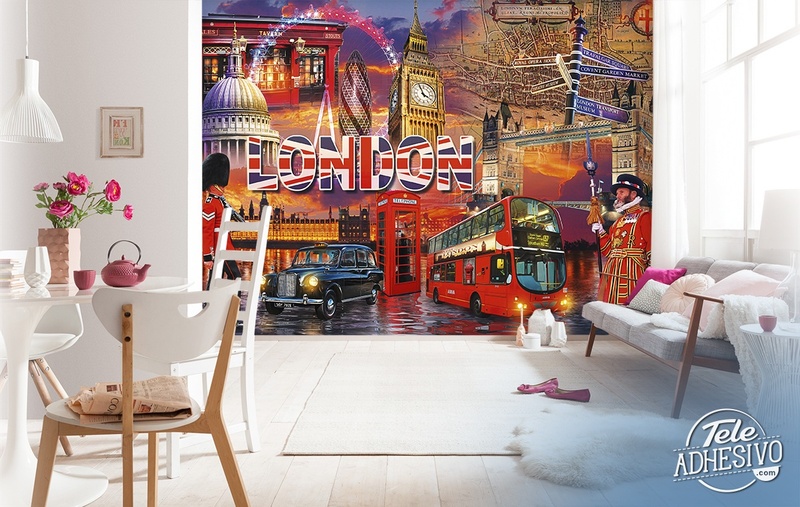 Complete assembly of typical London elements such as the royal guard, the Big Ben, a red bus or a classic English taxi. 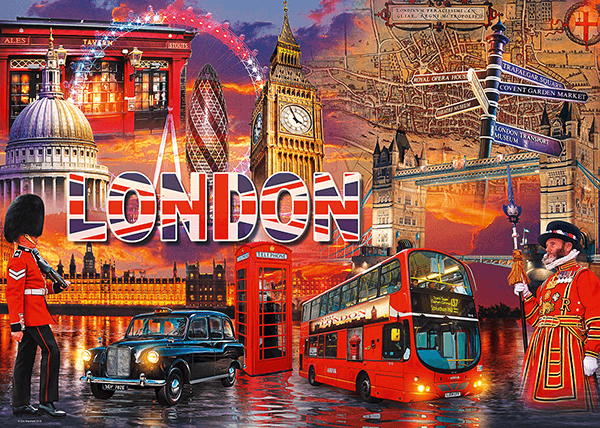 There is also a telephone booth and a brewery, Westminster Palace, a sign of places of interest or an old map of London.